Abu Dhabi-UAE: 11 January, 2011 – His Excellency Ban Ki-Moon, Secretary-General of the United Nations, today announced his participation and attendance at the fourth annual World Future Energy Summit (WFES), held in Abu Dhabi from 17-20 January 2011, and hosted by Masdar. The visit by the UN Secretary-General underscores the growing role the UAE and Abu Dhabi are playing in driving the global adoption of renewable energy and clean technology innovation. Through Masdar, a multi-faceted initiative advancing the development and deployment of renewable and alternative energy technologies, Abu Dhabi has demonstrated its long-term commitment to discovering a viable roadmap for sustainability. 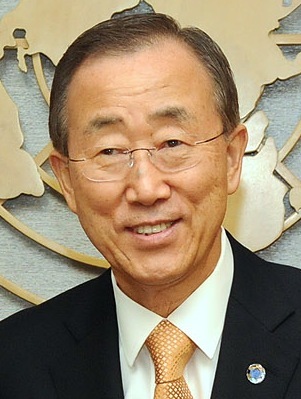 “Climate change is one of the defining challenges of our times,” added Secretary-General Ban Ki-Moon. World Future Energy Summit WFES, held at Abu Dhabi National Exhibition Centre, ADNEC, was inaugurated in January 2008. It has evolved as the world’s foremost and must-attend annual meeting for the renewable energy and environment industry. In 2010 WFES uniquely brought together more than 24,790 attendees from 148 countries including world leaders, international policy makers, industry leaders, investors, experts, academia, intellectuals and journalists to find practical and sustainable solutions for today’s energy security and climate change challenges.